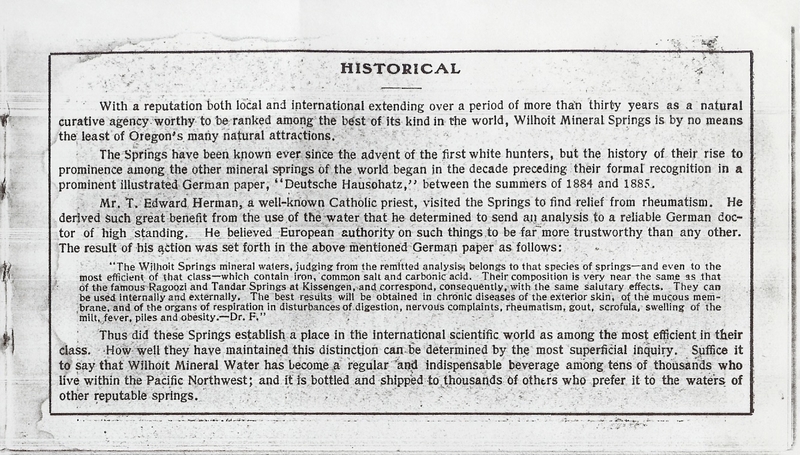 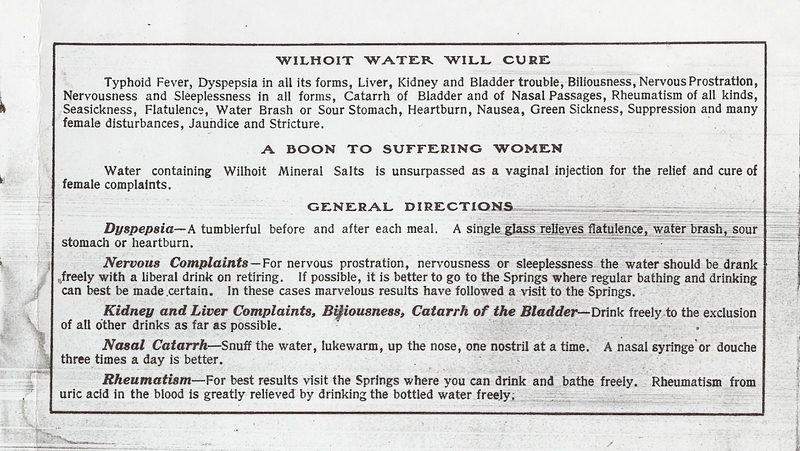 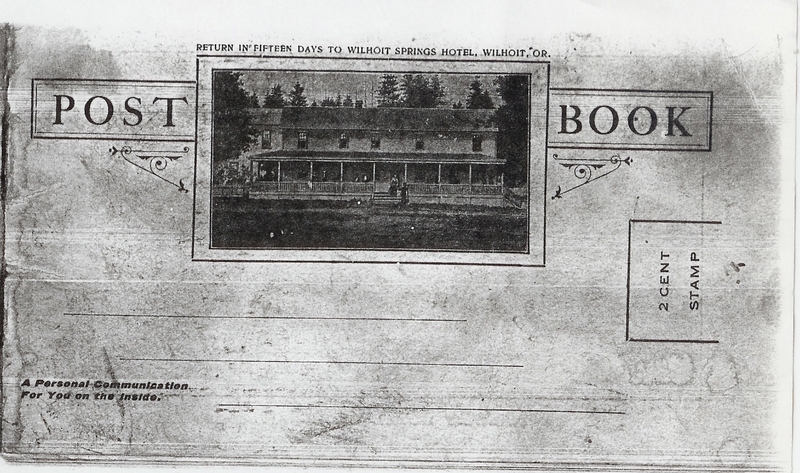 This is a copy of a brochure that was used as both advertising and as a postcard that patrons could mail home. 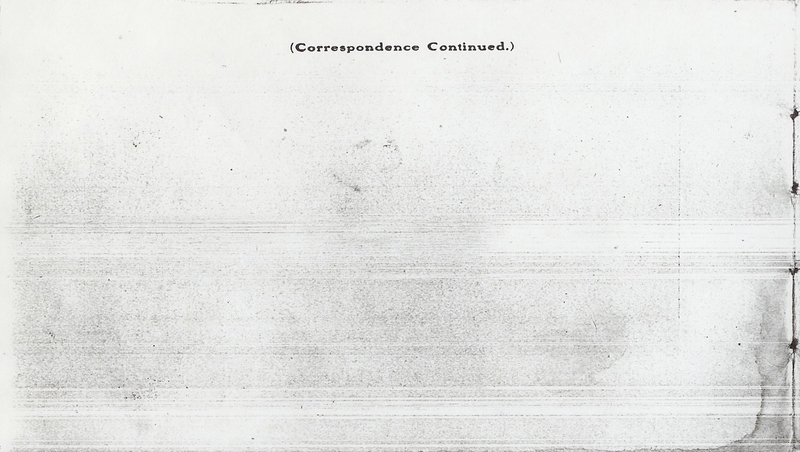 If you happen to have a better set of scans, please let us know. 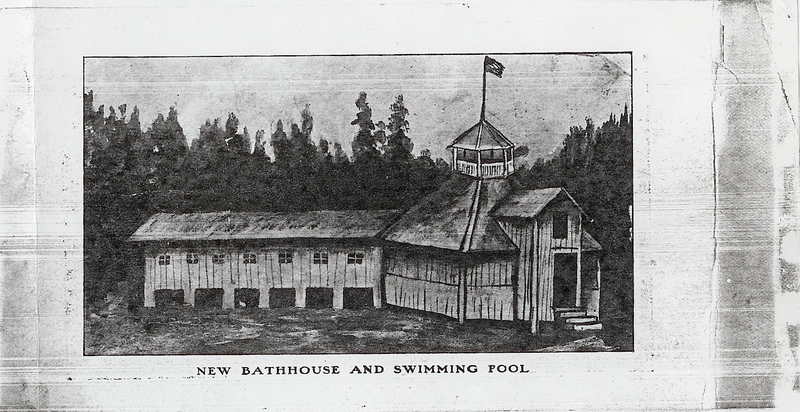 History Guests New bath house and swimming pool. 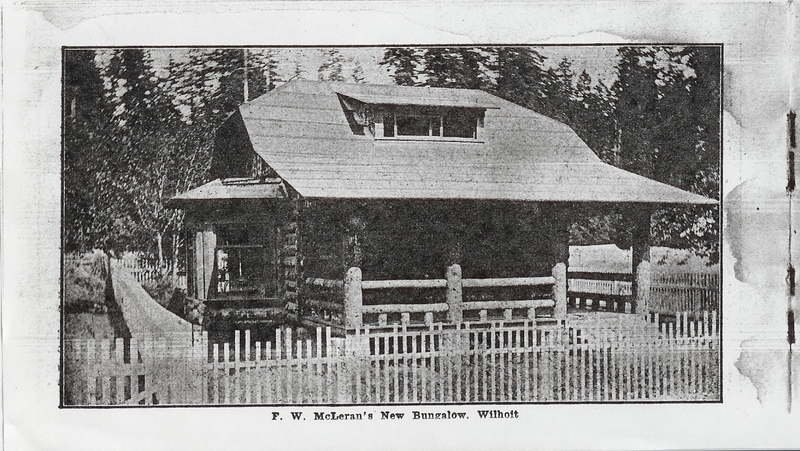 Summer House on the Grounds Arrival of Mt. 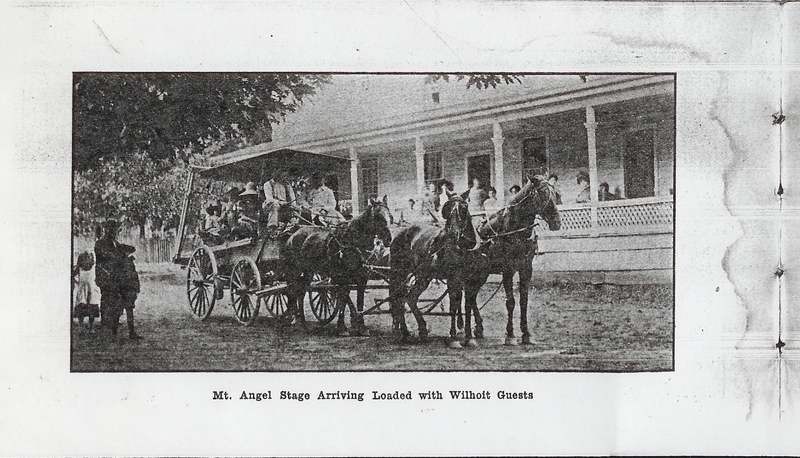 Angel stage. 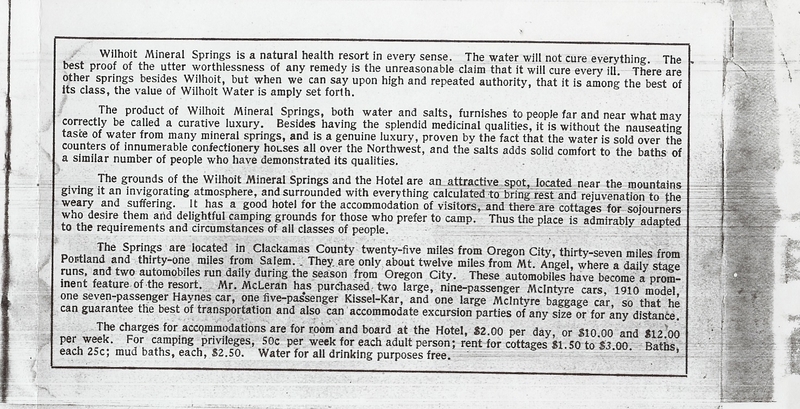 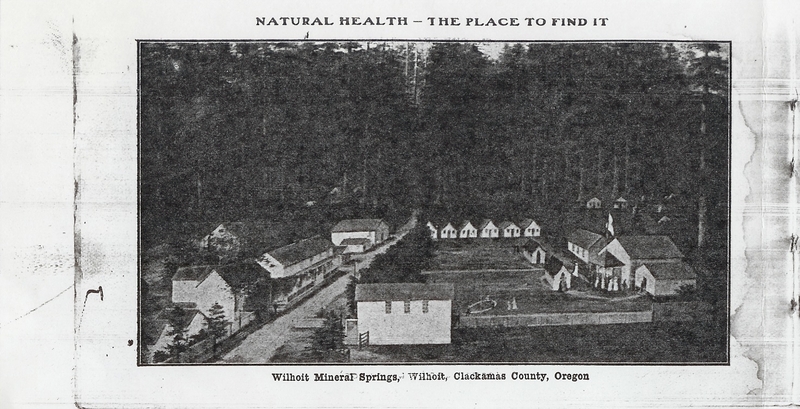 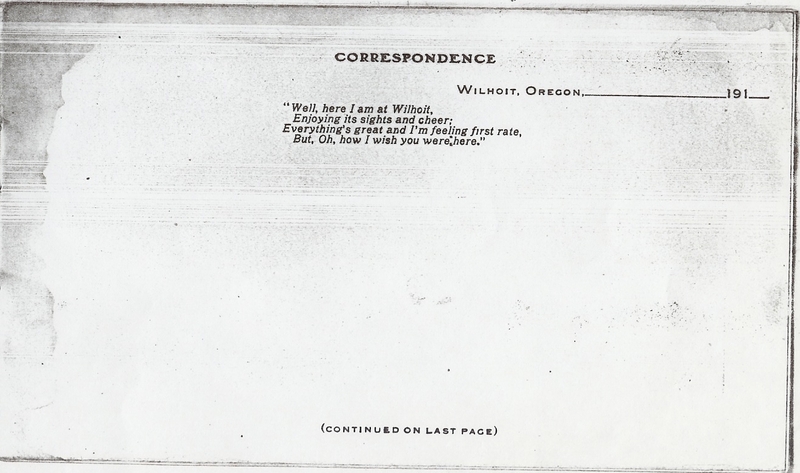 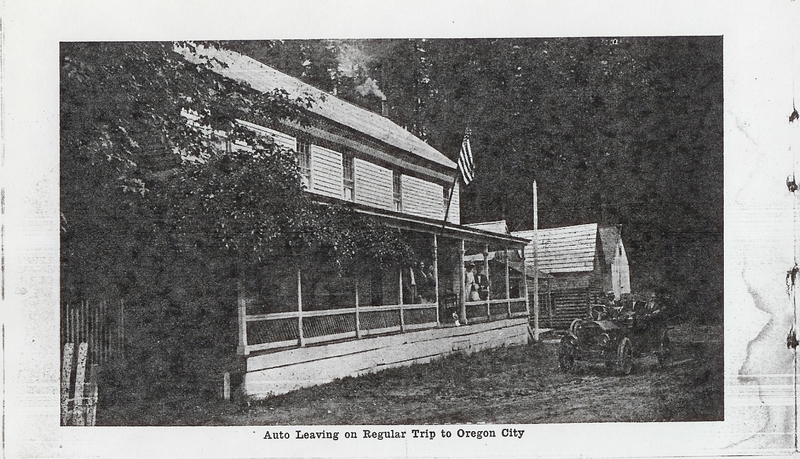 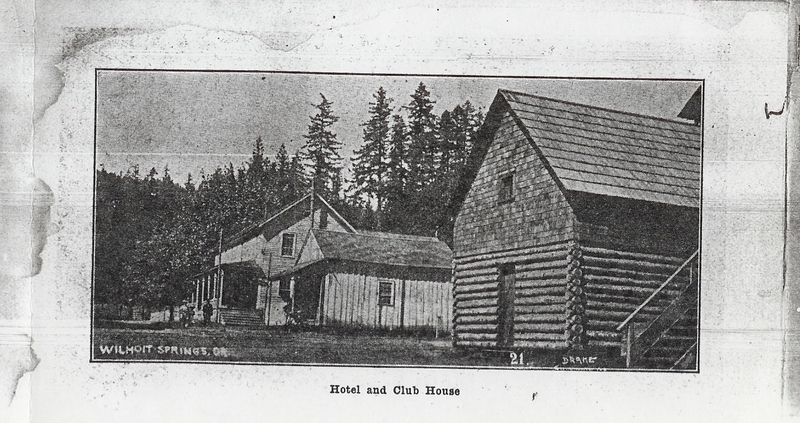 "Auto leaving on regular trip to Oregon City" F. W. McLeran's New Bungalow, Wilhoit "Wilhoit water will cure . 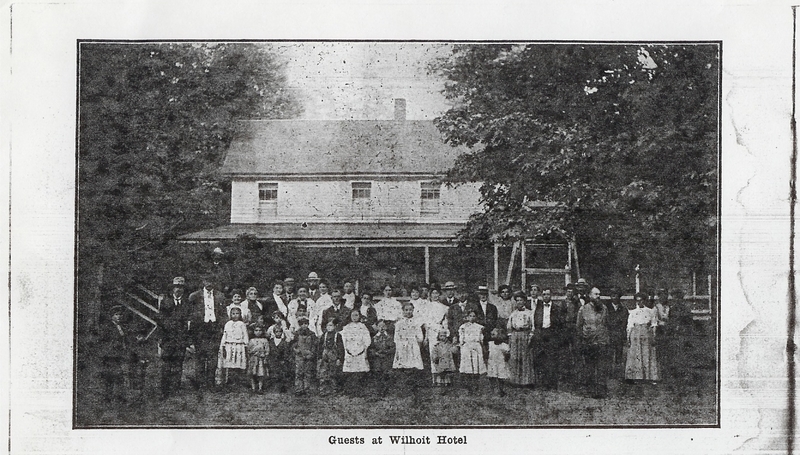 . ."
From the private collection of John L. Dunton, Jr.